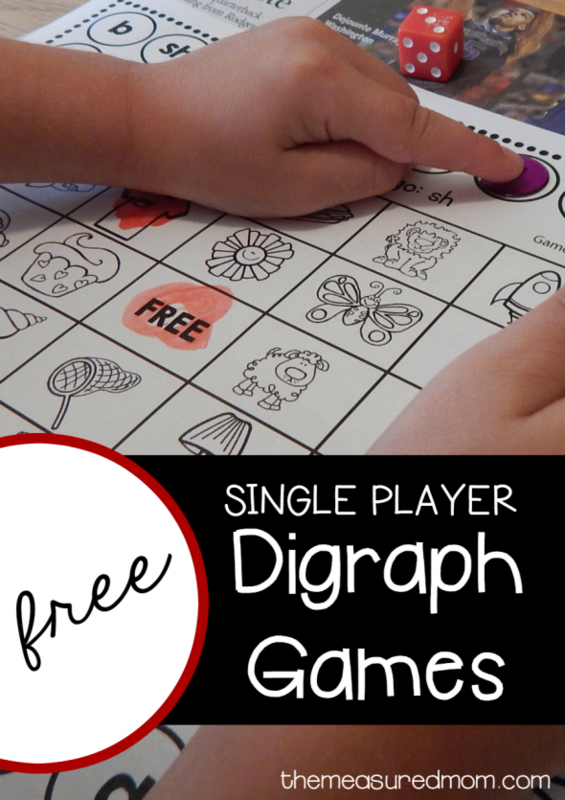 Grab these free single-player games that teach digraph sounds! 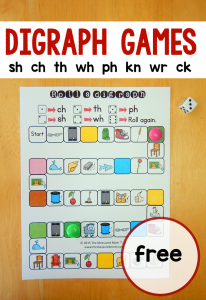 Today I’m sharing a set of printable games that will help your child learn digraph sounds. Today I’m sharing a new set of single-player games. My Four loves these, and they’re really helping him learn the sounds of common consonant digraphs! My little guy knows his letter sounds, but those tricky consonant digraphs (sh, ch, th) are another story. I began by creating a game to help him hear digraph sounds at the beginning of words. 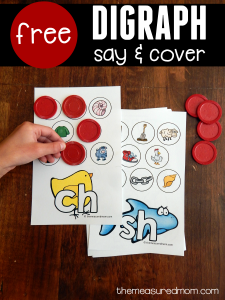 Since he did so well with that, I created these games to help him associate each digraph with its correct sound. To play, your child will need a playing piece (like these transparent counters), a die, and markers (we love Do-a-dot!). Have your child put his playing piece anywhere on the perimeter of the game. Then have him roll the die to move around the board. When he lands on a letter or digraph, he says its sound and finds a picture on the board whose name begins with that sound. He dots that picture with his marker and keeps playing until he has five in a row. Bingo! The game is over. The game teaches something new while also reviewing familiar letter sounds. It’s fun. 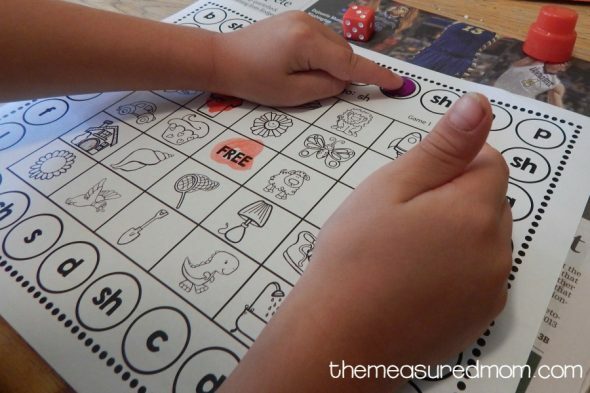 My kids love rolling a die, using Do-a-Dot markers, and seeing when they’ll get a Bingo. It gives lots of practice. 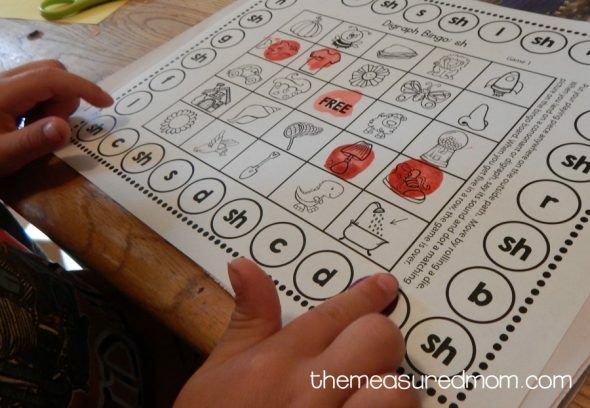 Every time your child lands on a letter or digraph, he has to say the sound and hunt through the pictures for one that matches. It takes very little ink and is low prep. Don’t you love print and play games that use only black and white ink? Finally, the download comes with eight different games… from easy to hard. 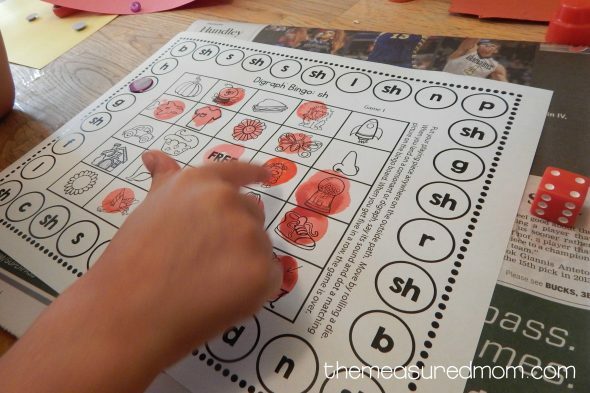 The first games focus on just one digraph at a time, gradually mixing digraphs and finally putting all five together. I am a stepmom of a Grade 1 girl and I just wanted to say thank you for your practical play methods to teach the little ones hard concepts! You make my life super easy and learning super fun for her! Thank you, Yvette! That is SO wonderful to hear! The school decided to change the theme from alphabets to a selected theme of my choice. I have chosen the theme transportation which I have started planning lessons on. The total number of lessons is for one month which is 20 lessons. These lessons have to be integrated in that the children are able to learn the theme as being integrated catering for health,science, social studies, math and language arts. Busy with my lessons already but taking note of all your emails. Thank you! You have saved me a ton time. Your work is greatly appreciated by this teacher. You’re very welcome, Carolyn! Thank you so much for the kind words! Thank you for such helpful resources and games my preschoolers can enjoy! I have been following you for a while now. I am a Special Education teacher in Massachusetts. 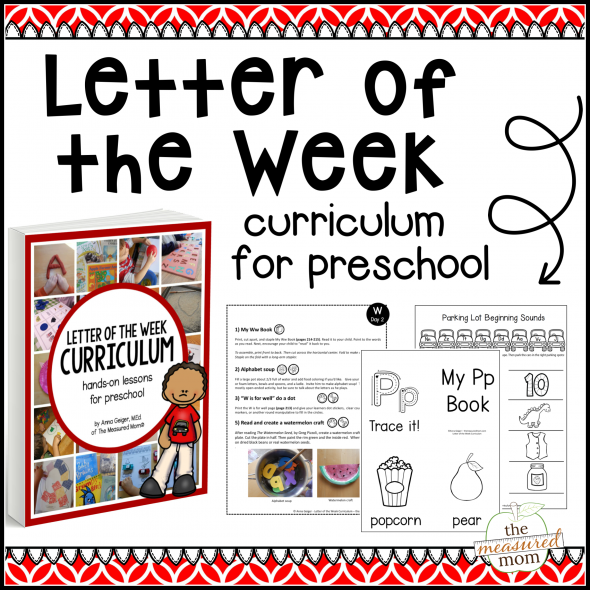 So many of your printables and ideas are perfect for extra enrichment and intervention. 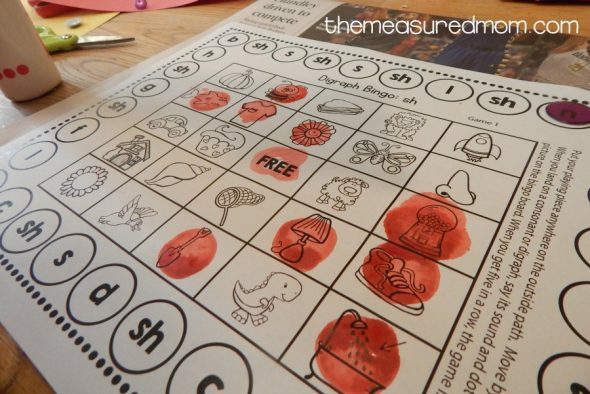 I can pair them with tactile, visual, and auditory materials that make a full and engaging lesson. You’re very welcome, Jessica! I hope you find many helpful resources on my site. 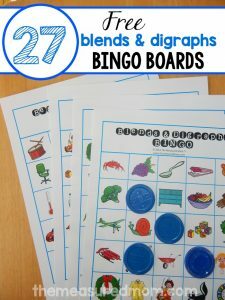 Are there any more reading/spelling games available in this format? I found (and downloaded!) several versions covering math topics, but can’t figure out what to search to find any additional versions to use with my phonics group. Thanks for all of these wonderful resources! Thank you, this is exactly what I was looking for to make Digraphs fun. Wonderful site.